In order to keep your phone’s power backup always available, a majority of users resort to a battery pack or a power bank. It is necessary to buy a right battery pack so as to get best value. The market is full of options and it is all up to one’s personal needs and budget that defines the product one should go for. Some feature quick charging, extended power back while others guarantee longer life. Let’s take a look at some of the best performing battery packs to choose from. An integrated USB cable is a must for regular usage. Thankfully this power bank supports the game. EasyAcc uses a single type of cable that’s built into the case. This cable flips out, and you can fix it to the phone. It is pretty simple. You can choose to buy an EasyAcc power bank with Micro-USB cable or an EasyAcc with Lightning cable. BesidesEasyAcc, two other brands come with integrated cables. The Jackery Bolt has two cables: Lightning and Micro-USB. And Belkin’s MIXIT Rockstarfeatures one custom-sized cable at a time, but ships with both options in the product box. It is always better to connect your device with USB Type C port. It is also the safest way to establish the connection. 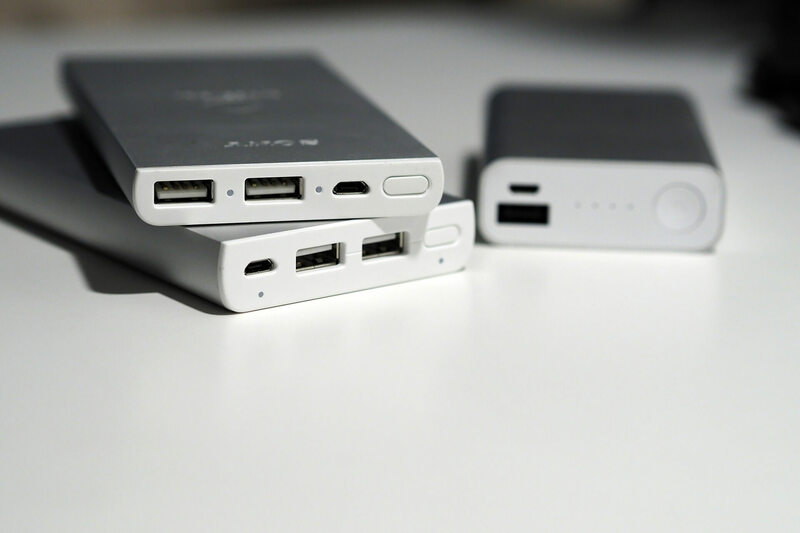 KanexGoPower comes with 15,000 mAh battery that is able to charge everything from your smartphone to MacBook. It has that distinct brushed aluminium body to go with its sleek profile. It’s pretty large though, so you’ll need to put this in a bag — not your pocket. The power of a battery pack is defined by the power capacity it can handle. Low-powered battery packs can’t deal with certain devices such as Nintendo Switch or a new MacBook. And that’s what makes the Anker PowerCore+ 26800 a perfect choice. It can charge three devices at one time: with one port for a USB Type-C cable and two ports for a Lightning or Micro-USB cable. Just make sure you buy a USB-C cable that won’t damage your devices. The RavPower Universal Power Bank Travel Charger is primarily meant fortravellers. The reason is its built-in AC outlet, which allows you use the battery like any power outlet on a wall. Connect a plug and you’ve got power. It’s an amazing easy to use device for those who move around often since this lets them charge a lot more than just phones and tablets. The most amazing this about this device is its size which is of a credit card. It means you can carry it without any issue. Just take it out and pop open the integrated cable. If you’re out on hills for a few days, you could go for ZeroLemonToughJuice v3.0 that provides enough juice to keep your smartphone charged. Its 30000 mAh battery never leaves you alone. With this, you can charge up to five devices simultaneously, with four USB ports (including one Quick Charge 3.0) and a dedicated USB-C port.